Investing.com – The Chinese yuan rose on Thursday in Asia as traders digested the latest PMI data which rose slightly in January but still below the 50-mark that separates growth from contraction. 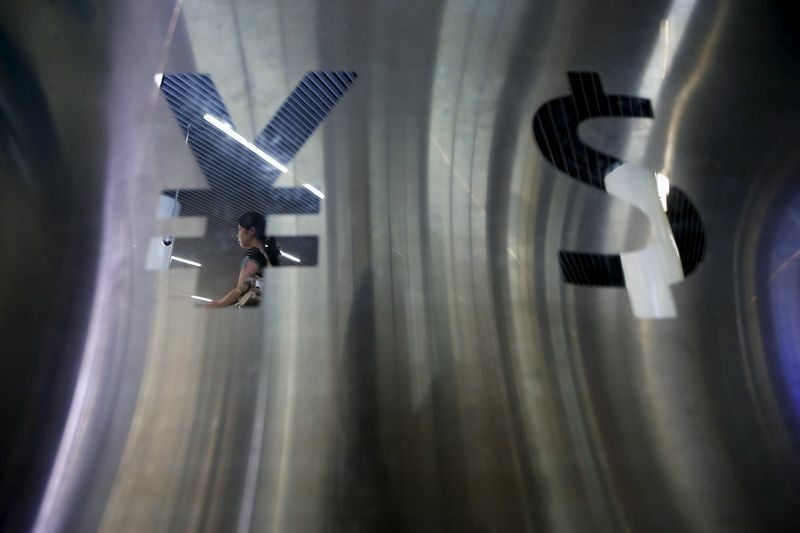 The gain in the yuan came after the National Bureau of Statistics showed on Thursday that China’s January official Purchasing Managers’ Index (PMI) rose to 49.5 from 49.4 in December. The number was better than the 49.3 expected by analysts. However, it also suggested activity in China’s manufacturing sector has shrunk for the second straight month. The People’s Bank of China (PBOC) set the yuan reference rate at 6.7025 vs the previous day’s fix of 6.7343. Meanwhile, the U.S. dollar index edged down 0.1% to 94.958 on Thursday after falling sharply against its rivals on the previous day after the Federal Reserve left interest rates unchanged and vowed to keep the brakes on further rate hikes. The central bank ditched its preference to continue with “gradual” rate hikes, saying it can hold off on monetary policy tightening following a slowdown in global growth and muted inflation pressures. “In light of global economic and financial developments and muted inflation pressures, the Committee will be patient as it determines what future adjustments to the target range for the federal funds rate may be appropriate to support these outcomes,” the Fed said.